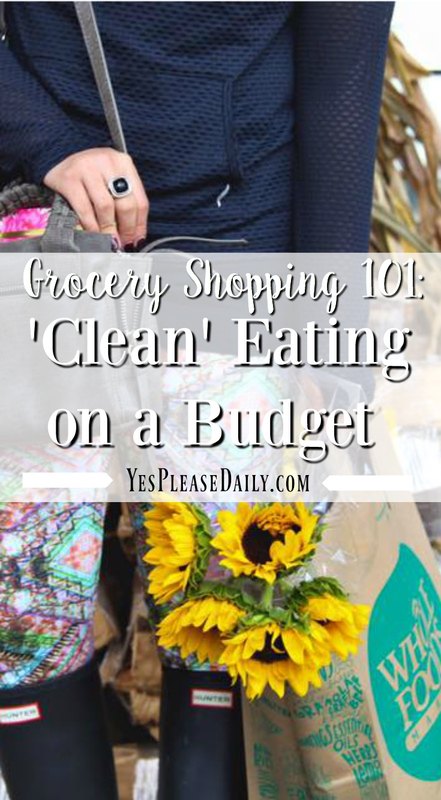 Last year, I shared this post about grocery shopping for one on a budget. It’s a great post about meal prepping, a few of my favorite quick meals and more. As I promised in that post, it’s time to update you on how I handle life cooking for two & not just any ole two but a girl who lives with a guy who used to refuse to eat anything but meat and carbs.. 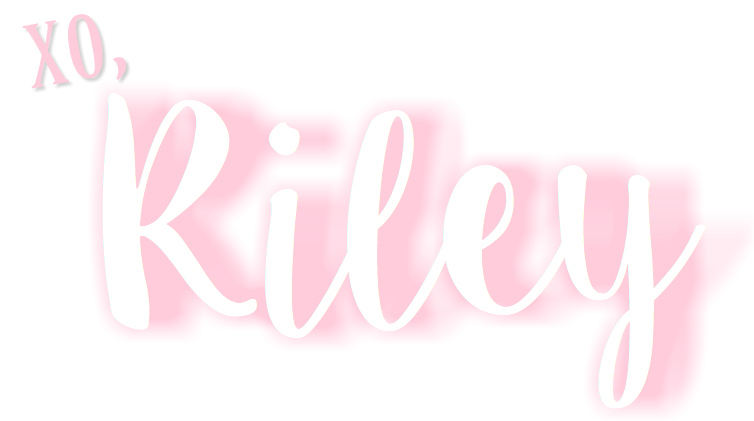 Since we’re not kicking off ‘Food, Please’ cook club until next week, I thought this would be the perfect time to cover some basics like what’s my ‘go-to’ shopping list, favorite healthyish snacks + a little more about my “diet”. First things first, I say diet but I like to think of it as more of a lifestyle change. Mid December I was eating pretty unhealthy. I was home visiting family for the holidays, grabbing drinks with friends who were in town and basically eating any and every holiday treat I could get my hands on. All this socializing left little time for exercising. I was at my heaviest weight and did not feel good about myself at all, physically and mentally my body was at it’s worst. I knew it was time for a change and decided to start researching everything I need to do. It was the perfect pre-New Year’s Resolution. I now am 90% dairy free. I say 90% because occasionally I’ll indulge in a little bit of cheese or some ice cream (my all time favorite). I try to only eat cheese once or twice a week, very minimal amount & ice cream every other week. Just by dropping dairy, I lost 10lbs in a month. It was great (I have a post talking about my dairy free life here). I try to steer clear of all preservatives, eat very minimal carbs, no fried food and try to cook at home most nights of the week + no soda ever *Unless it’s a cold beer or yummy cocktail, it’s all water baby! I try to only drink alcohol on the weekends and even though I shouldn’t drink at all, it’s life and I want to have fun while I can! I do have cheat days, because I want this to be realistic.. a lifestyle change not just a diet. Every once in a while this girl needs a cheese burger with a side of fries. #YesPLEASE! Chicken Breasts. The best place to buy these is Costco. Each bag is around $20 and comes with 25-30 big *like I can’t even eat the whole thing, chicken breasts.They come pre-seperated into packs of 2-3 breasts & you can throw the entire thing into the freezer as soon as you get home. When you want to thaw one pack out, just pull all the chicken out of the freezer and cut however many packs you need off. If you’re buying chicken from the store (not in bulk), I separate them into ziploc baggies as soon as I get home. I place two in each baggie and place them in the freezer. Avocados. I eat an avocado everyday. They are my favorite. I love them on ezekial bread, salads, by themselves, in Sushi bowls (recipe coming soon) or on top of anything Mexican. They are high in calories but the fat content is a good fat and great for your heart. Plus, they are good for your skin and hair as well! Cucumbers. I slice these up and dip them in guacamole, dice them for salads or sushi bowls, or cover them in lime juice + paprika for the most delicious Mexican side or salad topper. Shrimp. Walmart is the cheapest place to buy shrimp here in Chattanooga. You can get a bag for $5.. it’s peeled, tails off and frozen. You thaw out however much you need to cook and throw the rest back in the freezer. I can eat four meals off one bag! Plantain Chips + Salsa. These taste JUST like potato chips or tortilla chips. Since plantains are a vegetable, they help fill my need for something salty & dip-able without splurging on carbs. I find the plantain chips at Whole Foods in the dried fruit & veggie section, but recently I found them at our grocery store on the Mexican aisle. I love, love, love them with tomatillo salsa. Edamame. Another snack that helps curb my salt cravings without leaving me feeling too guilty. These are my go-to 3 o’clock snack. Dr. McDougall’s Instant Pad Thai. This sounds weird at first but it’s pretty much the best thing ever. Meet the grown up version of ramen noodles. All you need is water + 4 minutes (& a squeeze of lime!) and you have a yummy, organic 200 calorie lunch. You can find these at Whole Foods but you can also order them here. If you don’t like Pad Thai, don’t worry there are a lot of different flavors. Usually I’ll eat this with edamame or a Larabar, they are the best when I’m having a super busy day and don’t have time to make lunch. Larabars. These are probably my favorite thing on this list. They are granola bars, usually consisting of 2-5 vegan, preservative-free ingredients. Somehow they make dates and nuts taste exactly like chocolate chip cookie dough, it’s a miracle. My favorite flavors are Chocolate Chip Cookie Dough, Mint Brownie, Cashew Cookie and any of the Chocolate flavors. These seriously curb my sweet tooth without the guilt. You can find them at grocery stores, Target and here. Sweetened Vanilla Almond Milk. One thing I worried about when giving up dairy was my morning coffee. Flavored creamer was my j a m . I missed it for about a week and now I cannot stand it. Instead I do a cup of coffee with a lot of almond milk. It’s the only time a day I drink it but it’s so good in your coffee. *It only lasts 7-10 days once opened so I always mark the day I opened it on the lid! Citrus. I buy a huge bag of lemons and limes every time I hit the grocery. Why? I love to squeeze them on everything!! Lemons make the best dressing for salads, a key component in salmon marinade and are the final touches on some delicious avocado toast + more. Limes are great for any Mexican dish, they add flavor and zest. I hope you enjoyed this little 4-1-1 on my fridge, ha! I cannot wait until we start cooking together. I’m super excited because we started putting together the Yes, Please office and our desk arrived today! I put it together all on my own and I’m so proud of myself. I can’t help but to share sneak peeks on snapchat, it’s so pretty. I hope y’all have a wonderful Wednesday, thanks for stopping by.